DID YOU KNOW there’s a 24/7 Online Support Portal Where You (& your clients!) Can Ask Our Team any PaperCut, PrinterOn, or Hardware Question? Is Your Personal Brand as Strong as Your Business Brand? Come See Elatec RFID at Kyocera’s Dealer Meeting! Greetings from Orlando! Who would have thought I'd be leaving the snow in April to come down here??? 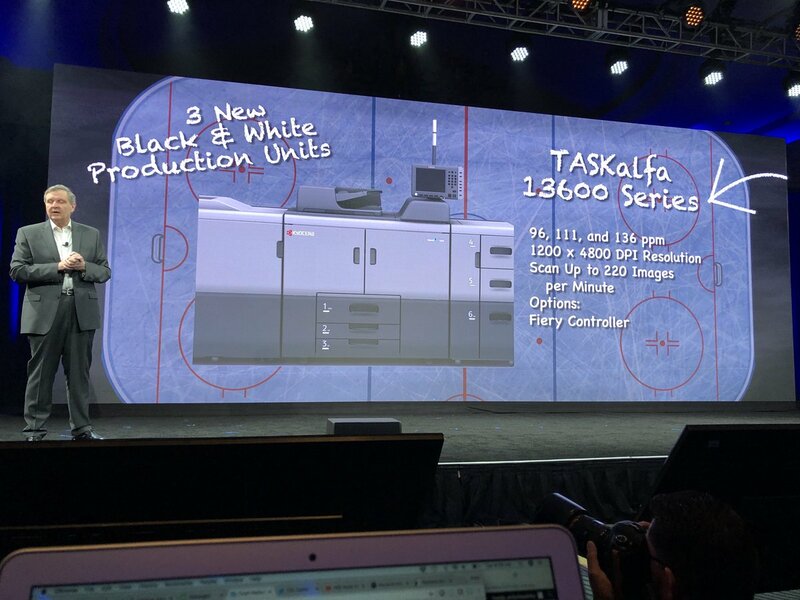 On the heels of a major MFP refresh, we'll be seeing plenty of new hardware, including a new line of light production hardware - the TASKalfa 9600, 11100 and 13600. Additionally, Kyocera officially enters the Commercial Print market with a big announcement today; the Kyocera manufactured Taskalfa Pro 15000c inkjet press. Pictures from the product fair will be tweeted soon! Some are already posted, including a slide of the new big iron. Are you at the show? Be sure to say hi!!! Do Customers REALLY Need Document Management?